Internet Download Manager (IDM) is a powerful download manager, that allows you to increase download speeds by up to 5 times with supports resume and schedule downloads. It has a smart download logic accelerator that features intelligent dynamic file segmentation and safe multipart downloading technology to accelerate your downloads. 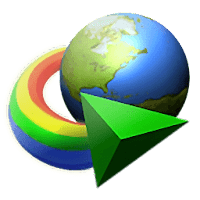 Internet Download Manager is a full-featured tool that supports proxy servers, ftp and http protocols, firewalls, redirects, cookies, authorization, MP3 audio and MPEG video content processing. Moreover, IDM integrates seamlessly into Internet Explorer, Chrome, Opera, Mozilla Firefox, Avant Browser and all other popular browsers to automatically handle your downloads. Accelerate your downloads with multipart downloading technology. Allows to restart broken or interrupted downloads. Allows to resume and schedule downloads. Integrates seamlessly into more than 150 browsers. Supports HTTP, HTTPS, FTP and MMS protocols. Supports many types of proxy servers. Disclaimer: Direct downloads for the lastest version of Internet Download Manager 6.28.17 are provided by the official software's author, we can't guarantee safety, availability or download speed. Moreover, we don't and we won't provide any pirated/illegal versions or tools. We recommend you to avoid it as these methods can harm your device. If you like the software, buy it to support the developers. (We provide software discounts for many worldwide brands).